Don't let its appearance fool you. 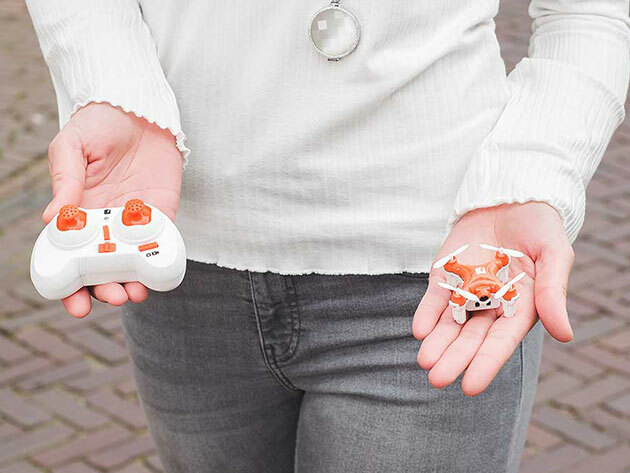 The SKEYE Mini Camera Drone is one of the most nimble drones out there. Engineered with adjustable gyro sensitivity and a 6-axis flight control system, this palm-sized drone is a dream for both novice and veteran pilots to fly, and it's available in the Boing Boing Store for $29. Whether you're looking to pick up a new hobby or just a new way to take more creative selfies, the SKEYE Nano 2 Camera Drone is a solid choice. It's on sale today for $59, 40% off its usual price.